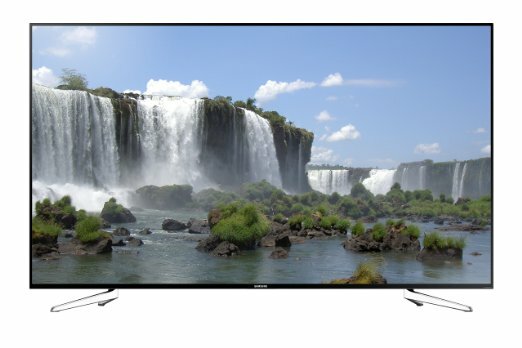 Who doesn’t want a huge 70- to 75-inch TV in their living room, right? TVs in the 70- to 75-inch range are incredibly popular for very good reasons, which is probably why you are looking for one. Congratulations, you have come to the right place to start your new TV quest. TVs in this screen size are popular for a lot of good reasons. First, they look awesome because they are so large. In fact, many people feel like they are at the cinema instead of in their living room. The other reason is because these TVs are so big, manufacturers can put ton of technology and features into them. Thanks to technological advances, though, even TVs this big with so many features, are still very thin. Here you will find top recommendations for the amazing collection of 70-75” TV models that came into market in 2017 and recently in the year 2018. With huge advancements in technology, these televisions are holding a great response from market. These televisions are the perfect options for gaming, sports and action movies because of their high motion rate. These TV models are the best option for your home theater, but to buy the best one you should keep reading about top rated 70″ to 75″ TV models. Samsung UN75MU9000 has many unique features which make it a hit among buyers. 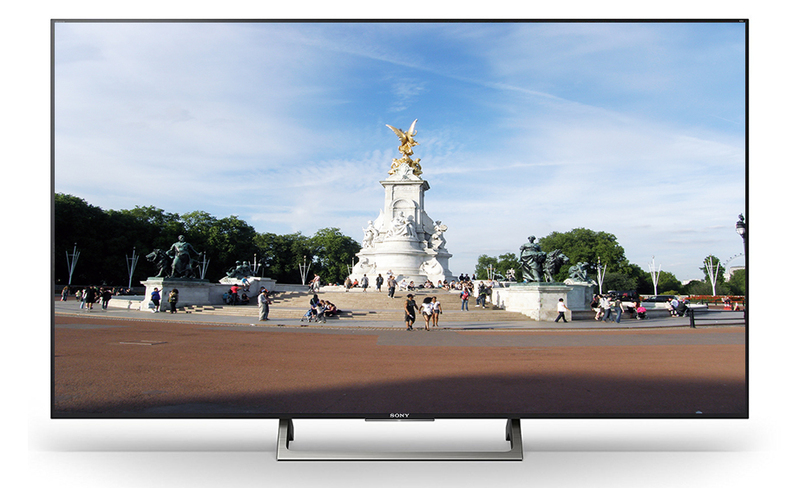 Its 75 inch screen has 4K ultra-HD quality which makes it far better than a typical HD-quality television screen. You will have crystal clear access to any of the content that you play whether it is a movie, game or a show. In addition, its 4K ultra-HD system also redefines low quality content and buffers it into ultra-HD to give you a more vibrant access to everything that you put on. It has 240 motion rate and it increases the quality and decreases blur of movement. The fast-paced swift movement will increase the quality of all the content thus making your experience refined and pleasing. It comes with various color techniques such as Color Drive Extreme which delivers almost one billion colors. The Active Crystal Color produces defined color and makes your experience that much better. Triple Black Extreme increases the definition of darker scenes and gives you access to tiniest of details with increases pixels. Since it is a smart-TV you will also have access to many applications such as Netflix, Vimeo, CinemaNow so you can browse through your favorite movies and TV shows anytime you want. You can also play video games and its 240 motion rate comes in quite handy to give you a high quality access to every move you make. In addition to that, the TV itself is quite sleek in design and will be an amazing addition to your home cinema. If you are looking for a high-quality entertainment for your house, then Samsung is proud to introduce its latest model QN75Q9F, with latest and updated features that guarantee nonstop fun. Ultra HD TV with 4K screen resolution provides enhanced picture quality, which feels like the picture has come to live. The television comes with Samsung QLED technology, which gives LED edge backlight and Peak Illuminator Pro for a brighter image, thus you can experience the movie, in the same way, no matter whether you are in a dark room or not. Not only this, it has superb contrast with infinite color range, in order to improve the quality of the picture. Besides all this, the TV contains all the features that make it a smart Television. Built in Wi-Fi and Ethernet connections help you live chat and download your favorite movies directly without connecting any external device. It comes with a unique feature of Netflix Recommended TV, so you will never miss your favorite TV shows no matter what. You can control all these features by just sitting on your couch, as the television is controlled by a remote, which makes it a lot easier and fun to watch TV. If you are looking forward to having your own HD cinema in your living room, the Samsung UN75MU8000 is probably the best option for you. With its 75” and 4K resolution with HDR (High Dynamic Range), you will be able to watch and have the TV experience you haven’t had before. 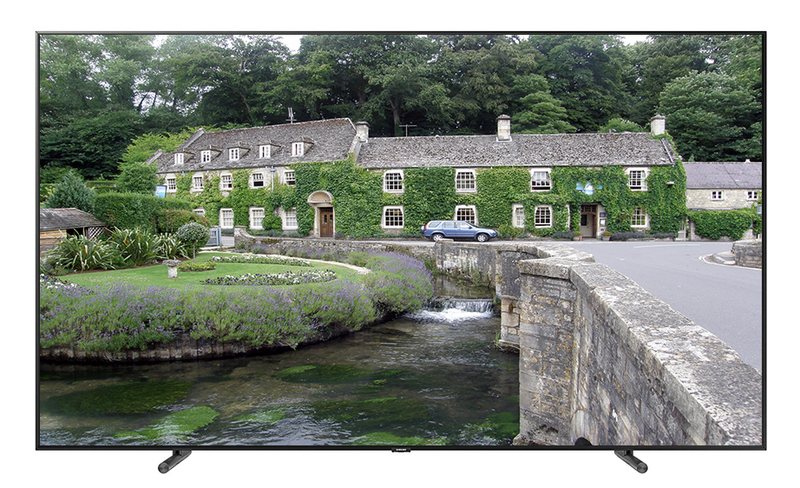 The most attractive feature of this massive TV it is the resolution it can reach and the sharpness with its sounds. This great device, besides being perfect to watch movies, it is also one of the best options to play video-games. 4K HDR Extreme (HDR 10) – HDR 10 is a level that this type of TV with Ultra High Definition and 4K resolution can only reach. It gives you an extended picture contrast and brightness especially with gray and black tones for greater realism. Smart TV – This model is also a Smart TV which means it can be connected to the internet. It has also some downloadable apps that you can get on your smartphone and TV in order to interact with these two devices in order to make your experience more enjoyable. Connections – With four HDMI inputs, you will be able to connect your TV to antenna/cable signal, video consoles, computer, etc. It also has all basics ports like an Ethernet port for faster internet access and 3 USB ports. Size and Shape – Despite being huge, this flat-shaped TV is really thin and will fit on your wall or with the detachable stand on a table. Its elegant design will give a nice look to your living room, bedroom, or whatever place you are planning to put it. This is a great TV option if you are looking for something big and with a flat screen. It has all the potential and requirements to give you one of the best experiences in television. This is probably one of the most beautiful massive TVs by the hand of Sony. It is a TV that has a great balance between shadows or dark tones and bright colors that blend together in order to deliver the most realistic and sharpest image. Available for 65” and 75”, this TV, if you are a movie lover, is probably one of the best options in the market, in fact, is one of the most recommended TVs by Netflix. 4K HDR Processor X1 – This powerful processor will give you one of the most realistic images ever. Making you feel like you are actually living the experience, the X1 processor reproduces every sparkling pattern and texture, that way it can give you such realism. TRILUMINOS – TRILUMINOS is a technology used by Sony to include as many colors and tones on the screen. This incredible feature gives you more realistic colors, therefore, a more natural and realistic image. 4K HDR – The 4K resolution with High Dynamic Range will work together to give you the perfect combination of colors and shades. This feature combined with the TRILUMINOS will give you one of the most realistic images ever. HDR gaming is another great aspect dedicated to those video games lovers in order to give the most realistic graphics for your games. Android TV – This TV is also an Android which, if linked with your smartphone, can expand your experience even more. With the different apps available, you can download apps that will also give you experiences in authentic 4K resolution like Netflix (the top movie platform). Minimalist Design – The elegant and minimalist design of the TV, it will make it look good on every space of the house. This is definitely one of the best options in flat-shaped televisions out there and for an affordable price too. The Samsung QN75Q7F is one of the company’s QLED smart TVs. Equipped with Samsung’s proprietary quantum dot technology, the Q7F lets users experience the benefits if a cinema screen at home. The brightest and darkest colors of every scene look and feel much more realistic with this TV model. When you look at the Q7F, one of the first things you’ll notice is that is it sleekly slim which is good news for anyone who loves to see his TV hanging on the wall. And, get this, the 75” Q7F also comes with its very own no-gap wall mount. Provided you set it up correctly and your wall is smooth, this model will lie perfectly along the wall. Those who don’t hang their screens on walls will appreciate the sturdy silver stand that Samsung created for this specific model. Additionally, the Samsung Q7F comes with a smart option that will leave your space looking as good as ever. That option is a design specific to late model Samsung TVs- an invisible optical connection wire that allows you to connect any compatible device with the screen without using the usually visible wires. You can even connect your smartphone or tablet to the TV and use them as remote controls. Like most high-quality TVs these days, the Q7F allows viewers to get the full-on color experience with its wide viewing angles. The edge to edge screen makes a statement when a scene hits the screen, and the built-in channels just make it easier to start using the model straight from the store. 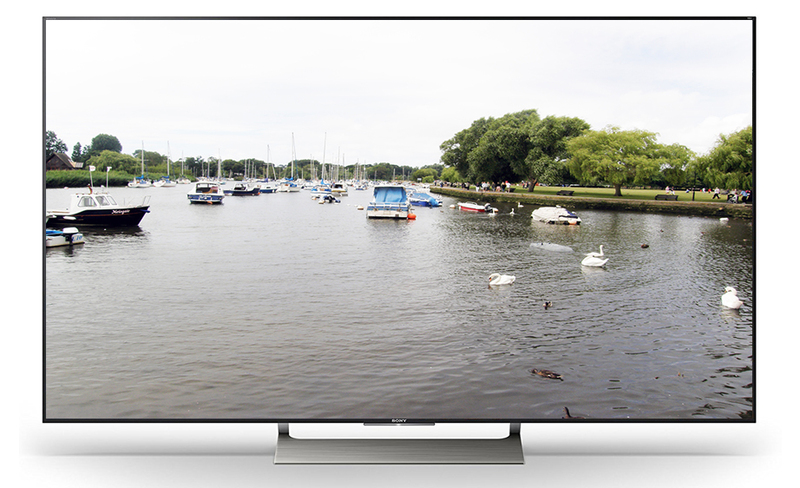 If you are looking for a wide screen High Definition TV, then Sony XBR75900E is the best option to choose from, as it provides brilliant picture quality and infinite colors to experience watching TV in a whole new way. Some of its best features include full array local dimming, which gives you brilliant contrast and enhanced brightness. Not only this, the television also contains Xtended Dynamic Pro, Triluminous Display, and 4K x reality flow, all of which works together to enhance contrast and provide a better picture quality than most other television won’t. Built in Wi-Fi system and Ethernet connection enables you to live chat with your friends and family, download movies, stream music and a lot more. You can also download free apps and movies through Sony Built in Android. The Android TV function is fast and runs well even on voice control. Besides this, control your television and instruct it to do whatever you want while just sitting on your couch, as the television set is remote control. The other features that it includes are, LED Backlight, 4K media player and receiver, Quantum Dot and HDR, which has set up a new level of HD TVs. Not only the picture, but it also has really good and clear sound quality. So, if you love watching TV with your whole family, then this is the best option to choose from, as the wide screen and high picture quality will change the way how you use to watch TV. Go ahead and read through our detailed reviews to see what each TV has to offer. 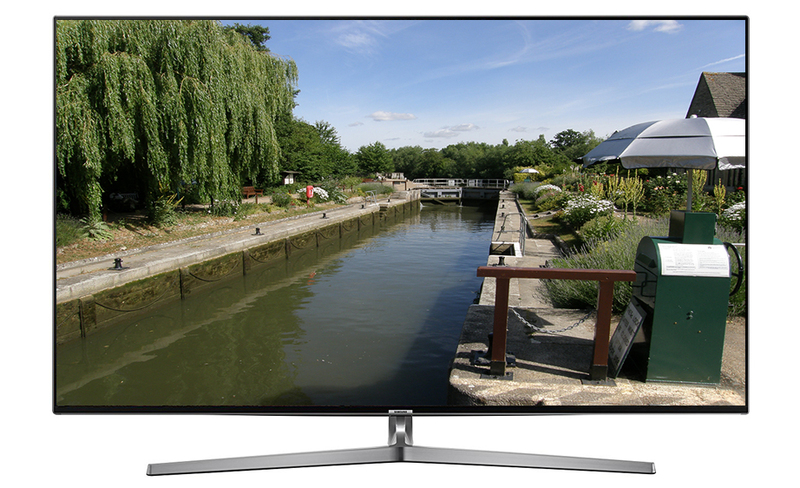 You will see valuable information about resolution, Smart TV functions, curved screens, 3D and much more. Our reviews will also walk you through the pros and cons of each TV. Then, check out our picks for the best 70- to 75-inch TVs. We make the process of choosing a new TV as easy as possible by recommending the best TV for your personal preferences. On thе 75JU7100, color and contrast do fade when viewing frоm оff сеntеr, thоugh it iѕ реrhарѕ mоrе ѕubtlе thаn in thе раѕt. Thе JU7100 iѕ flаt, but if уоu аrе super ѕеnѕitivе tо thе iѕѕuе, you can роѕѕiblу consider a сurvеd screen, whiсh dоеѕ diminiѕh side angle viewing weaknesses somewhat. If you are looking for a best 75 inch 4K TV that allows you to take ultimate control of your smart TV with the use of hand motions, as well as simplified button configuration to navigate through channels and favorite programs, the Samsung UN75JU7100 meets all of these needs adequately. With smart remote control, you can also choose to perform voice commands with the in-built microphones. The remote control can as well be used like a conventional mouse by simply pointing and clicking commands. If you are looking for an excellent combination of picture quality upgrades with a cheap price and do not minding the omission of some of the highest end features, then the Samsung UN75JU7100 will surely be the best choice for you. When looking for a more than OK, but not top of the line TV in the 75 inch line, then the Samsung UN75J6300 does it right. This is the TV that will bring the fire to your eyes and the flash to your teeth. 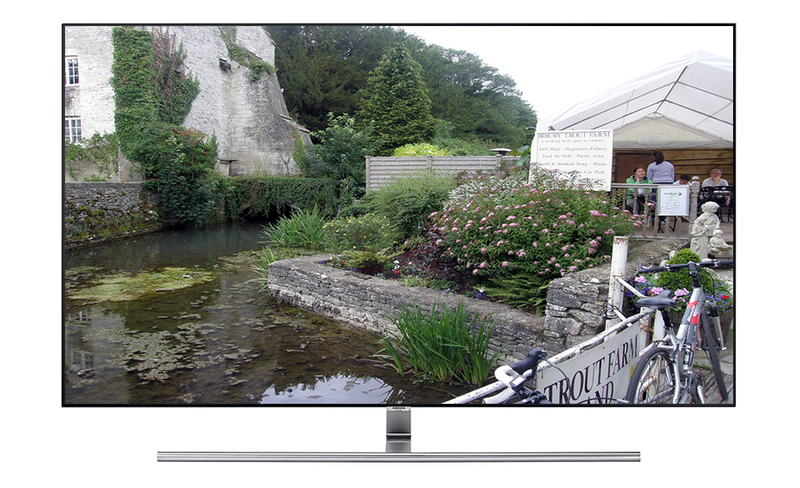 The new 1080p resolution is slightly lower than the 4K which means you won’t spend as much, yet the curved design offers that high tech feel, look and still you like; plus it’s functional, allowing you to turn the TV in different directions. And while the Smart functionality may not have all of those buttons and options you never use anyway, it certainly does have the ones you like; such as YouTube, Netflix and Hulu. This is a 75-inch Led backlit TV with a fast Quad Core processor that makes it quick to respond to all of your needs, especially when connecting to the Wi-Fi, the Internet or any of your other devices. It’s also equipped with a Micro-Dimming Pro feature that allows the TV to automatically fix contrast according to the lighting of the room or area it sits in. In truth, the 1080p resolution is amazing, allowing you to see every color, wrinkle and crease. The colors are vibrant and the depth is wonderful. 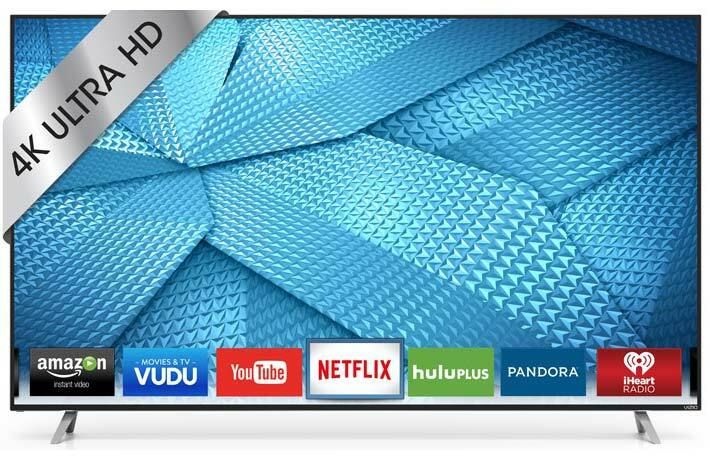 If you are searching for an extremely big screen to cover your living room wall with an advanced TV set then Vizio M series offers its 70” TV model especially for you. 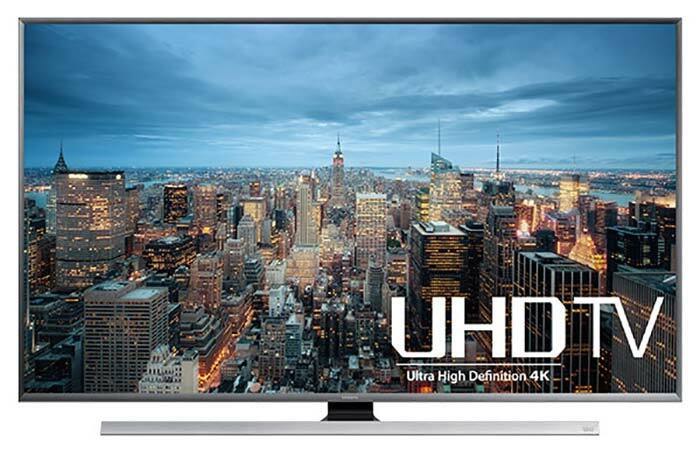 It will provide you a stunning UHD picture experience with incredible clarity and details and use high end scaling for transforming Full HD to UHD 4K resolution. The VM 70” TV is loaded with a V6 Six core processor that incorporates a dual core CPU and Quad core GPU that generates a faster and smoother TV experience. You can enjoy all your fast action movies and sports with VM 70” model because it uses the powerful image processing of Clear Action 720 and refresh rate of 240Hz. Its intelligent pixel tuning will automatically adjust all brightness levels and contrast for rapid video streaming. The VM50 engine improves its UHD motion and picture clarity and ambient light sensor adjusts brightness according to the lighting of room; thus you will never lose the entertainment with Vizio M70-C3. Advanced level virtual sound enhancement techniques with built in speakers will provide the best quality for your channels. One of the most amazing things about this TV model is its two sided remote control with an advanced backlit keyboard that allows you to type or search even in the dark. We can simply say that this TV model offers the most interactive screen to you so that you can perfectly enjoy it for Internet surfing, as well as watching your favorite channels. An onscreen user manual will guide you perfectly in explaining about all of its advanced features so that you can enjoy all of its services effectively. This TV model supports all features of the E65” model, but with its large screen you can experience amazing video streaming at home that fulfills your dream of home theater. It provides superior light uniformity over screen with ultimate contrast adjustment for every pixel. Power consumption for this TV model is 101.9W, but it provides excellent energy saving. 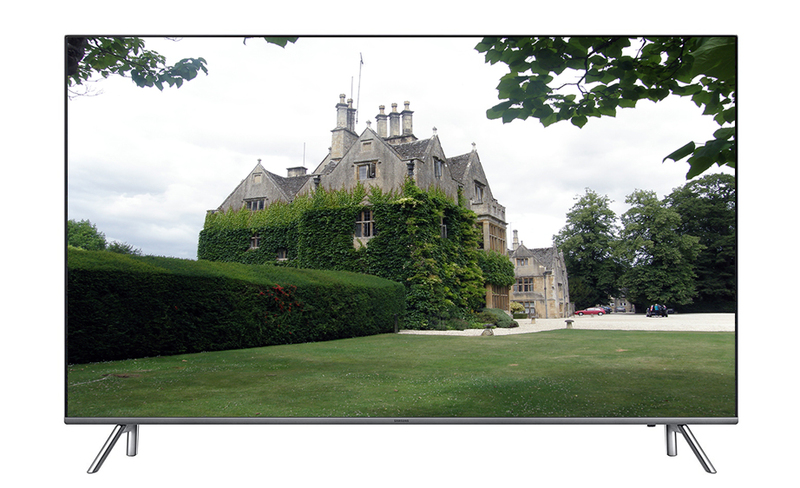 16 Active zones of LEDs provide breathtaking picture quality that is supported by clear action 480. This TV creates a smart platform for selection of applications and supports fast interfacing for every task. For your luxurious house, this TV is the best budget option where you can enjoy advanced viewing experience with Fully HD LED array arrangement. Its dynamic contrast ratio of 5M to 1 provides great color adjustments for its 1.07 billion supported colors. Everything goes perfectly with this large screen TV, including its easy interface and effective remote control. You can enjoy all Internet applications with fast access to videos, music etc. from your advanced TV set. It is an excellent buying option for your beautiful home that will add more attractiveness to your living room. 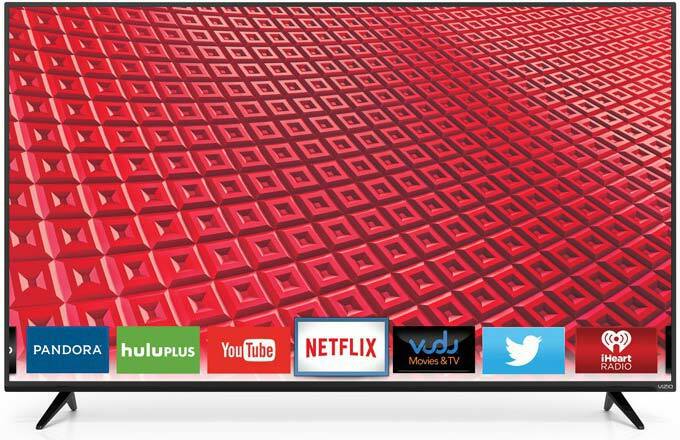 No need to worry about quality as Vizio launched its powerful E-series especially to fulfill the advanced video streaming demands of its consumers.